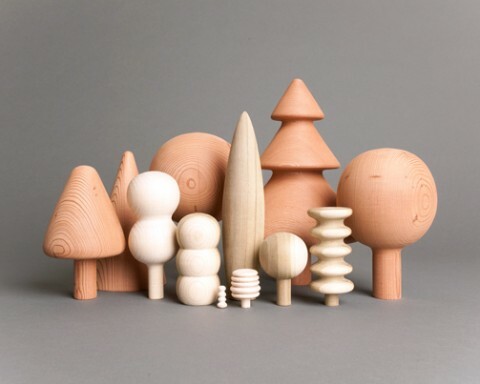 If this isn’t poetic, I don’t know what is: Different types of scrap wood turned into a forest. By Mark Giglio. I hate to say it (I really don’t think I have that dirty a mind), but these look like they were made for purposes other than decoration. Sorry to those readers if I ruined the illusion. My bad. wow, i like your blog! so artistic and unique! Beautiful and quiet. i love the found, clean, feeling of it all. So sweet! They remind me of those Danish teak salt and pepper shakers. That was my thought as well, Michele. Very Danish. oooh oooh. i want these for the office.